COLUMBIA'S LUNCH REVIEW: Real Mexico - 2421 Bush River Rd. Real Mexico - 2421 Bush River Rd. The Yelp 100 Challenge officially kicked off Tuesday, 9/1/15, at Real Mexico. Real comes up #1 in the Mexican Category on Yelp in Columbia, so it seemed a fitting spot to start the Yelp 100 challenge. Full disclosure, many of us frequent Real Mexico a lot, probably second only to Taquiera Jalisco. 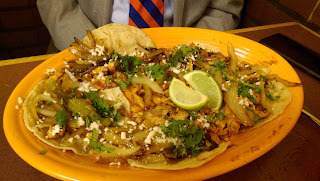 As has been written on this blog, we love TJ's for its street tacos, even more than Real's tacos. 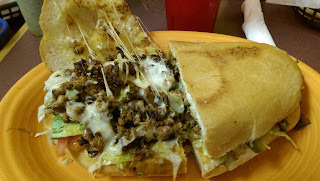 However, Real has the best tortas in town, without exception. Three of the six that attended lunch - Tank, Motherboard, and Frodo, ordered tortas, with Tank's Chori Pollo torta being the standout. There is one reason to come to Real for lunch - it is delicious. Many of the other aspects of the restaurant, as noted below, are objectionable. But with food this good, it doesn't really matter that much. Noodles went with the combo #3, a risky play going generic at a place that does some special dishes. Even he was pleased, as Real can cook up the standards, too. The only person who was not thrilled with their order was Publican, who had chipotle chicken tacos. Real has a nice, friendly staff. However, when you are seated in the back corner of the back room, like we were, drinks can run empty for quite a while. We sat back there due to the lack of decent large group seating. Try to avoid the back room (although it does have some exceptional art back there...). At lunch, Real gets packed. When it is at full capacity, food does not fly out. Similarly, while there is on-sight parking, it is rarely enough at lunch, and the lot overflows into nearby businesses. You should keep an eye out for daily specials, which are often posted on the door. Frodo found his go-to torta that way, and he orders it even when it is not on the menu. The torta is substantially bigger than his face. And, if you are feeling like spending top lunch dollasr, try the steaming hot fajitas. As a final note, the line to pay at the register is often awkwardly long. Don't take a seat at a table next to where the line forms if you can avoid it. You will likely eat lunch with some dude's pants in your face. While you are in line, you should check out the large selection of sweet Mexican candy. We can only recommend the Carlos the V. The other options have been too sweet, and have often been thrown away after one bite. This is certainly on my list of places to try! 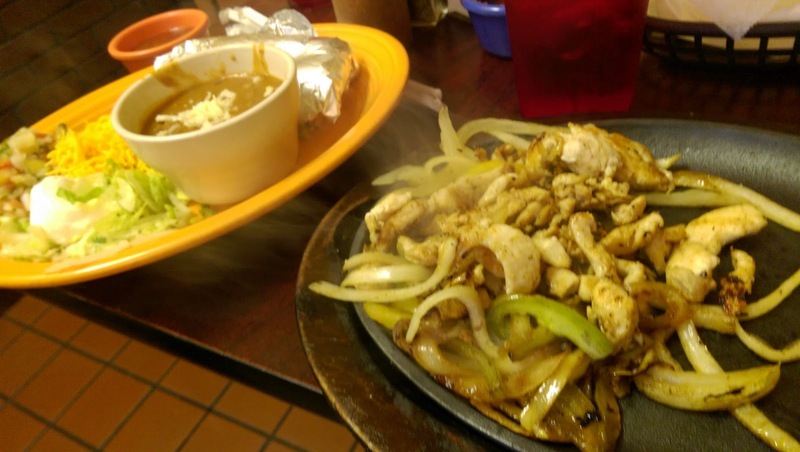 Sometimes Mexican food in Columbia can really big a hit or miss.